Be part of this global celebration! Next Wednesday, November 11, is Veterans Day, and we'd like to encourage everyone to take a moment next week to thank the service members in your life for their service and sacrifice on our behalf. Join us on Tuesday, December 1 as we celebrate #GivingTuesday. Learn more in our first article. Next Tuesday, November 10, is the 240th anniversary of the founding of the Marine Corps . Learn more in our second article. In November we have one day for giving thanks, two for getting deals, and now we have a day to give back. Be a part of this global celebration of generosity and giving back by joining Marine Parents on December 1 as we celebrate #GivingTuesday! The Roman philosopher Seneca is purported to have written,"We should give as we would receive: cheerfully, quickly, and without hesitation..." Here at Marine Parents, we couldn't agree more with that sentiment, especially now as we approach the holiday season. If you would like to take part in #GivingTuesday while simultaneously showing your support for recovering warriors, we encourage you to donate $75.00 to MarineParents.com, Inc. Each $75.00 donation will supply a recovering warrior with a "Reintegration Bag" containing books and resources intended to provide support and information to veterans, their loved ones, and/or their caregivers as these veterans navigate the recovery and reintegration processes. 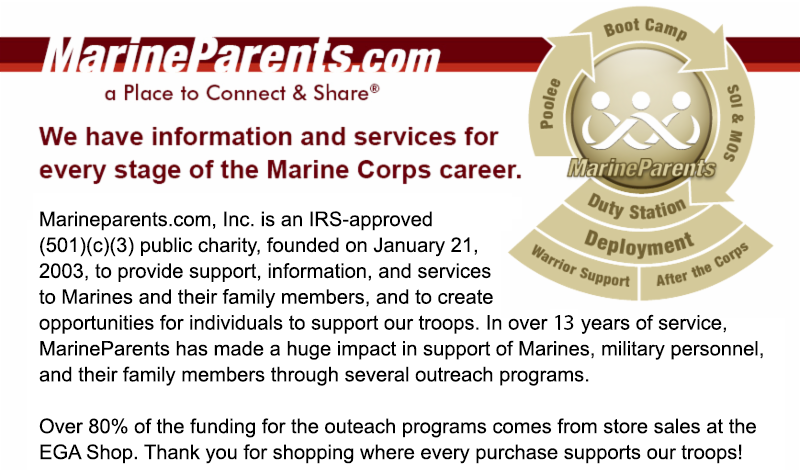 If you don't want to wait until December 1 to donate, you're in luck, as you can donate to MarineParents.com 24 hours a day, 7 days a week by clicking here. Be sure to pass this on to your friends and loved ones, these recovering warriors need all the support they can get, and your generous donations will make that support possible. These men and women have sacrificed so much on our behalf and now it's time we show them we appreciate all that they have done. Join us between now and December 1 and let's give back to these warriors just as Seneca said: cheerfully, quickly, and without hesitation! 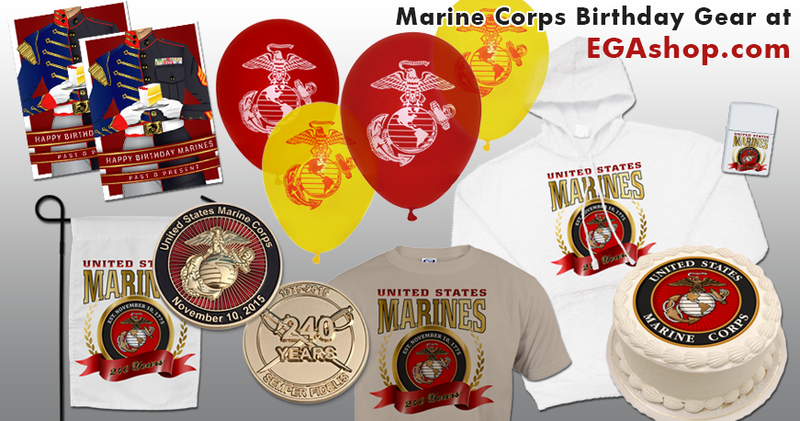 The 2015 Marine Corps' Birthday is Next Tuesday! 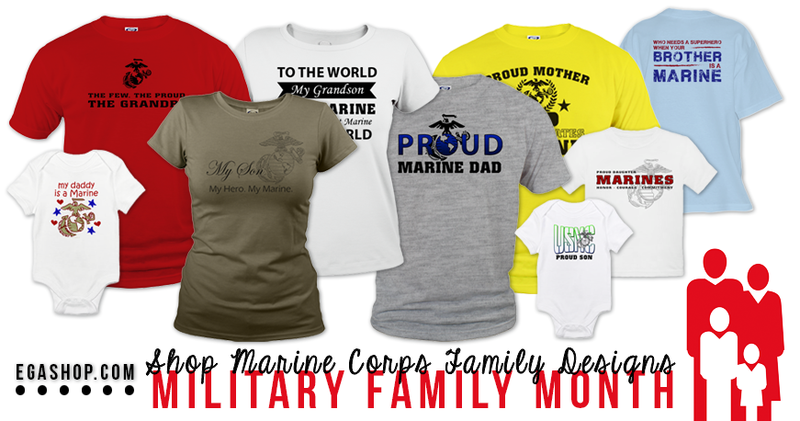 Next Tuesday, November 10, 2015, marks the 240th anniversary of the founding of the United States Marine Corps. Each year, on November 10, Marines around the world celebrate what they see as their "second" birthday, the day the United States Marine Corps was born. The Marine Corps' birthday is a day of pride and respect, and its celebration is one of the most revered traditions in the Corps. 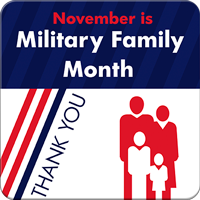 Established by former Secretary of Defense Robert M. Gates in November 2008, the Department of Defense has designated November as Wariror Care Month. The goal of Warrior Care Month is to increase awareness of the resources available to wounded, ill, and injured service members, as well as their family members and caretakers. To mark Warrior Care Month, the Department of Defense will be sponsoring numerous activities and events throughout November to, " increase awareness of the significant achievements and milestones that often occur during the recovery, rehabilitation and reintegration or transition process." 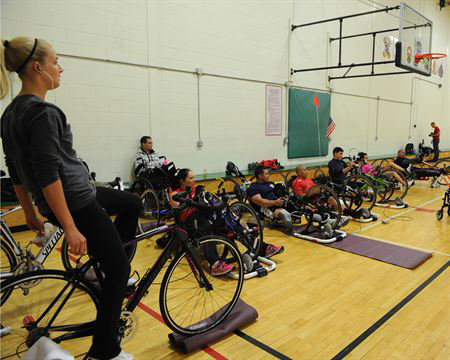 Activities and events will include a sitting volleyball tournament, a wheelchair rugby exhibition, a healing arts recognition event, a Facebook "town hall" meeting, and a blog series focused on military caregivers. November is National Family Caregivers Month, and this year's theme is " Respite: Care for Caregivers." According to the Caregiver Action Network, "[r]espite – the chance to take a breather, the opportunity to re-energize – is as important as any other item on your caregiver’s to-do list." "Day in and day out, selfless and loving Americans provide care and support to family members and friends in need. They are parents, spouses, children, siblings, relatives, and neighbors who uphold their unwavering commitment to ensure the lives of their loved ones shine bright with health, safety, and dignity. During National Family Caregivers Month, we rededicate ourselves to making sure our selfless caregivers have the support they need to maintain their own well-being and that of those they love." While the sacrifices made and hardships endured by our service members are well-documented, a related aspect that many people may not think about as often are the sacrifices made and hardships endured by military families as well. Maintaining a family in the civilian world is challenging enough, and military families may also face additional, unique challenges, such as frequent moves from base to base, having a loved one deployed for months on end, or dealing with long-term physical and/or emotional wounds, that can make the task of maintaining a family seem almost overwhelming. 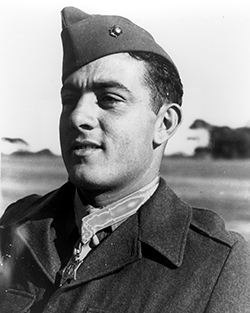 Next Wednesday, November 11, is Veterans Day and, to mark the occasion, we'd like to feature a piece on one of the most famous Marines in history--John Basilone. Marine are known for being always faithful; for never giving up; for being hard-chargers. Perhaps no Marine better exemplified these traits than Sergeant "Manila John" Basilone, the only Marine in World War II to win both the Medal of Honor and Navy Cross and a true Marine Corps legend. Last Saturday, October 31, 2015, the Navy christened it's newest destroyer, the USS Rafael Peralta, in a ceremony that took place at Bath Iron Works in Bath, Maine. During the christening ceremony, Peralta's mother, Rosa, asked God to bless the ship and keep the crew safe before smashing a bottle of champagne on the ship's bow. 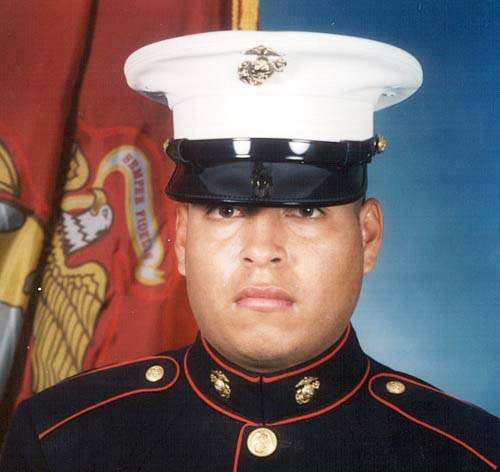 Peralta's sisters, Karen and Isela, his younger brother, Ricardo (who also served a combat tour as a Marine), and numerous brothers in arms from the 1st Battalion, 3rd Marine Regiment were also in attendance. The USS Rafael Peralta is one of a number of Navy ships named after Mexican-Americans, but historians at the U.S. Naval Institute believe the Peralta is the first warship named for someone who was actually born in Mexico,according to Naval Institute spokesman Scot Christenson. Today, November 6, 2015, six Marines who were killed in May in a helicopter crash during earthquake relief efforts in Nepal were be honored in a ceremony at the U.S. Embassy in the country's capital, Kathmandu. 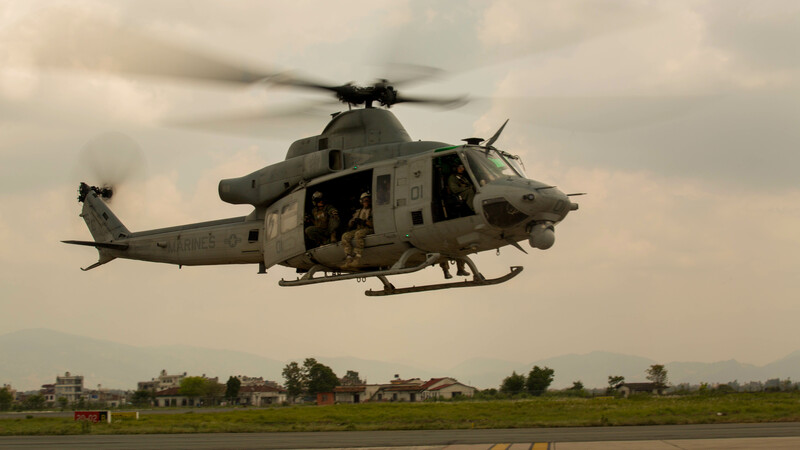 The Marines, two Nepalese Army soldiers, and five villagers were killed on May 12 when the UH-1Y Huey helicopter they were riding in went down in the mountains near the village of Charikot. There were no survivors. To honor the sacrifice of these Marines, the embassy will be renaming the Marine Security Guard Detachment Kathmandu’s Heritage Room "Vengeance Hall," after the Huey’s call sign, “Vengeance 01,” according to a Marine Corps statement. This past Saturday, October 31, 2015, Marine Corps veteran Kirstie Ennis completed a trek across Britain in honor of her fallen comrades when she reached Buckingham Palace. Ennis, 24, and her companions, fellow U.S. Marine Andrew Bement, two British Royal Marines and numerous British army veterans, embarked on their excursion 72 days ago when they set out from the Glenfiddich distillery in the Scottish highlands at a pace of roughly 20 miles each day. Ennis, who was injured in a helicopter crash in Afghanistan in 2012 and has undergone 38 surgeries in the three years since, delayed the amputation of her left leg below the knee in order to complete the trek. Approximately every 40 miles, Ennis would hang one of the 25 sets of homemade dog tags and leave a poem in honor of the 25 Marine Corps comrades either killed in action or lost to suicide after deployment. The journey was undertaken with "Walking with the Wounded ," a United Kingdom-based charity committed to assisting injured veterans. Ennis and her teammates are now in New York celebrating the Marine Corps birthday and will be speaking at the Bob Woodruff Foundation's ninth annual "Stand Up for Heroes" fundraising gala. The weekend of October 25 saw tens of thousands of runners, Marines, and supporters come together in Washington, D.C., to participate in the running of The Marine Corps Marathon (MCM) and its associated events from October 23-25, 2015. 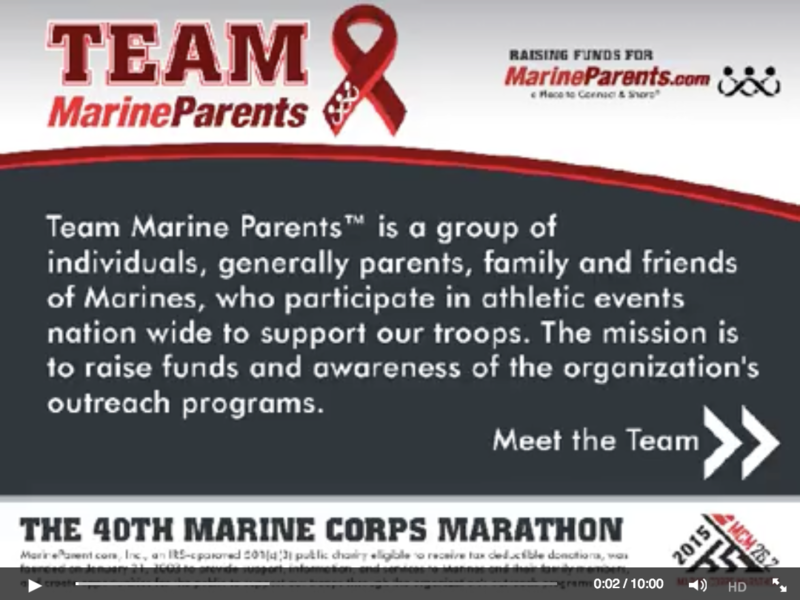 This year, Team Marine Parents had 30 runners participate in the "People's Marathon" and together they raised almost $16,000 for the outreach programs of MarineParents.com. 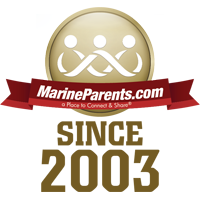 If you are interested in participating in the 2016 MCM, or would like to cheer on our runners next year, follow the TMP Facebook page to be the first to know when bibs are available and to keep up on all things Team Marine Parents. Thirty-two years ago this week, on November 1, 1983, 300 U.S. Marines from the 22nd Marine Amphibious Unit (MAU) staged an amphibious and helicopter landing on the island of Carriacou, 15 miles northeast of Grenada, in a search for Cuban military installations or personnel. 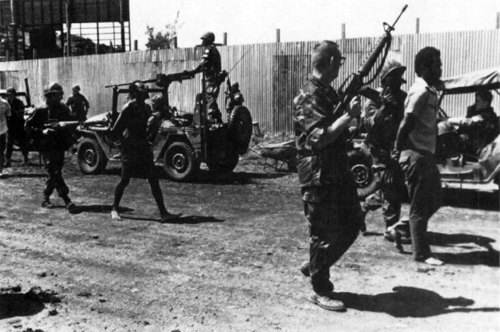 17 Grenadian soldiers were captured in the assault, and arms, ammunition, and training sites were found as well. The next day, the 22nd MAU left Grenada and headed to Beirut, Lebanon to replace the 24th MAU. 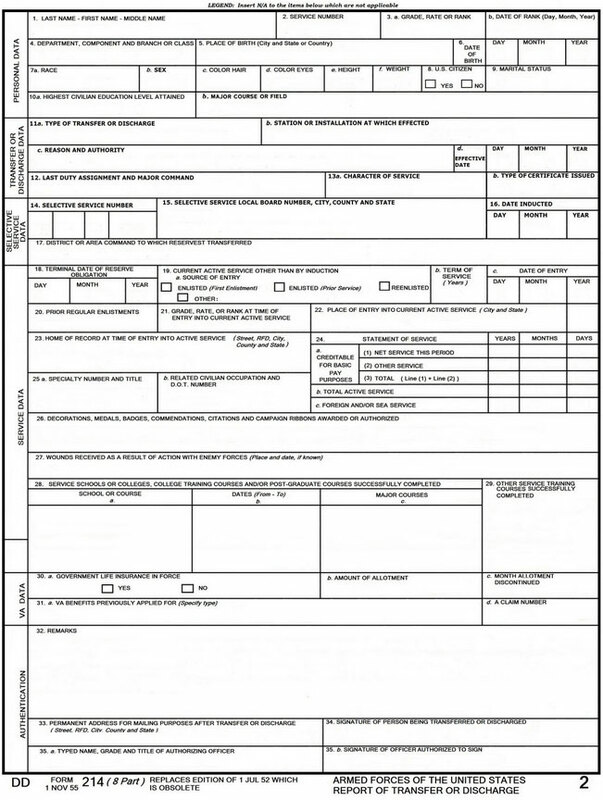 This document helps veterans obtain all the benefits to which they are entitled and is worth its weight in gold due, so keeping track of it is of vital importance.